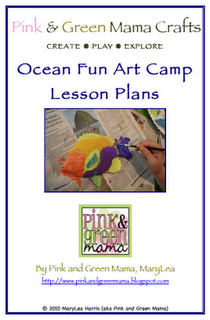 Knowing I have a house full of crazy, creative kids, blogging friend, MaryLea from Pink & Green Mama, sent me a copy of her Ocean Fun Art Camp e-book to try out with them. 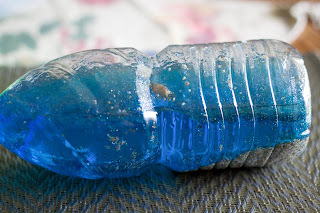 We chose the ocean in the bottle craft to try out, since I had all of the supplies on-hand, and it looked like fun! I won’t give you the entire blow-by-blow, since that is what MaryLea does in her ebook, but here you can see my kids taking turns adding sand and the other ingredients to our bottle. My husband didn’t understand why the directions called for oil, but sometime, you have to try adding food coloring to oil, just to see what it does! Very cool, and a great science lesson! And here is our ocean! MaryLea has directions for making a simple stand to place the bottle on. Her book is loaded with clever ocean-themed projects. If you still have bored kids hanging around waiting for school to start, I would highly recommend getting MaryLea’s e-book and having a craft camp. If you are planning an ocean/mermaid/fish themed birthday party, this will give you lots of party activity ideas. 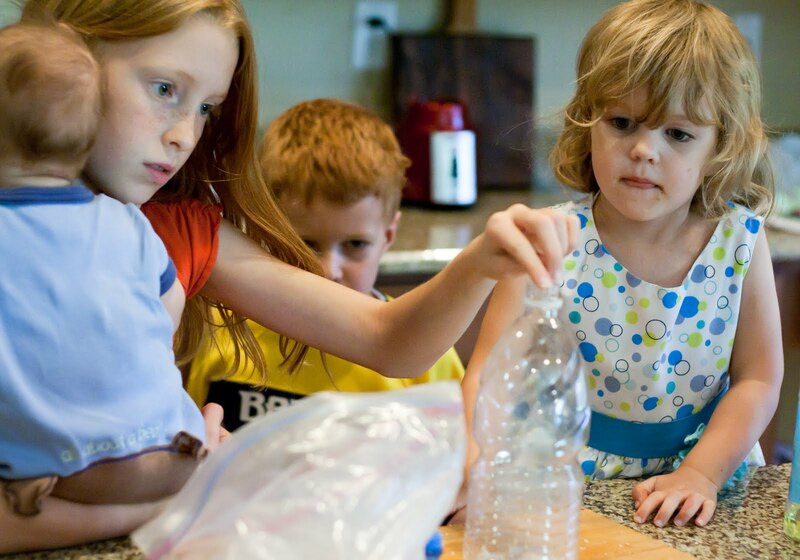 Homeschooling, or teaching preschool? Again, there is lots of inspiration here for you! Thanks for sharing with us MaryLea! And I almost forgot! MaryLea wants to share her ebook with one of my readers! Just leave a comment on this post telling me how/when you would use this ebook, and I will randomly pick a winner on Monday! PLEASE, make sure I can easily find your email address in your message or profile, or I will have to choose a new winner. Oh I would LOVE to use this book for the rest of the summer to keep the kids busy! Thanks so much for the chance!!! I would use this book to keep my little boy entertained as we are about to have another baby. This is awesome! 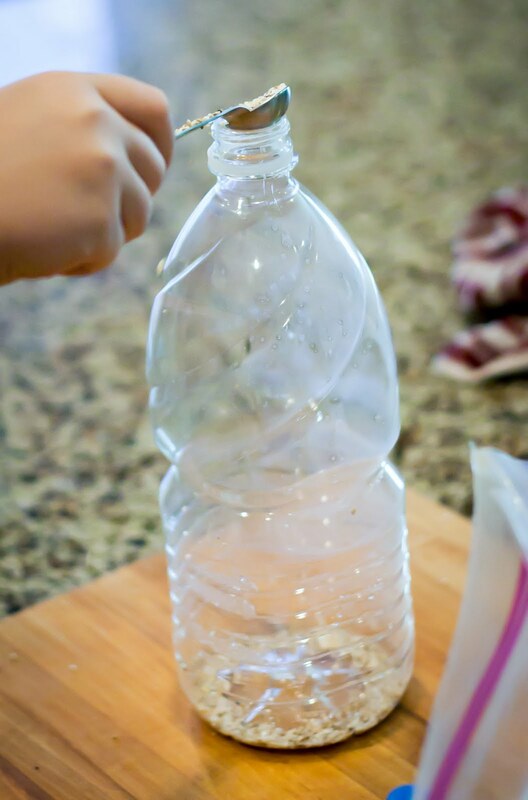 I am definitely doing this as a rainy day craft with the kids. both my daughters are counsellers at Christian Summer camp..this would be an excellent resource for them…here's hoping you pick us! Love your blog, I will be back! Would use this for the summer and various other times I'm sure! My son is in a playgroup and I'm always trying to come up with new ides for them. Looks like fun! Pick me! I would love to use the ideas with my busy kids! Oh how fun is this! I would love to win. I just became a girl scout leader and would love to have the girls do this. 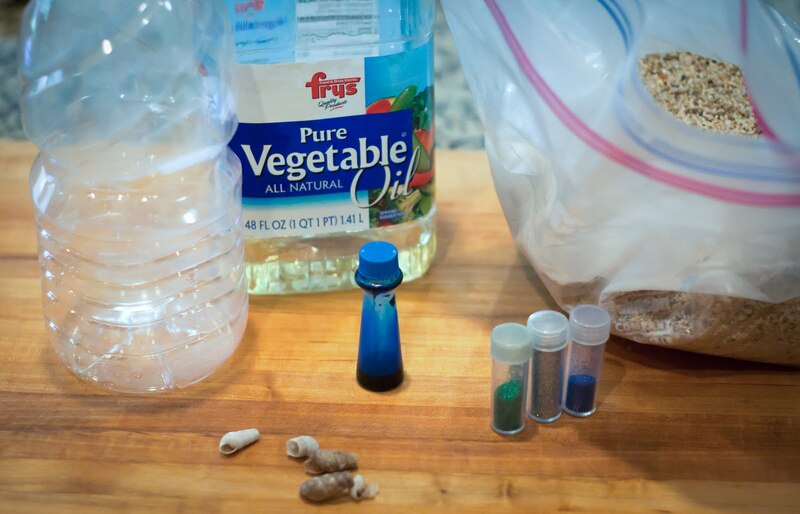 I homeschool my kids so it would come in very handy! Thanks! Im a teacher and mom to 3 boys this book would be great!! WE'll use this book the last 3 weeks of our summer vacay and throughout the school year with my grade one class. thanks. looks fun. I just stumbled upon this giveaway by pure accident. This summer I am teaching art summer camp. I have 2 more weeks to go. The way I structured the camp was to make every week have a different theme. The last week of camp is "Sea Adventures"! I would love this book for project ideas-I was internet surfing for ideas when I bumped into this giveaway! Ohhh…I would love this! I am doing an ocean-themed (stingray) party for Jake next month and would love to try these crafts/experiments at the party! Fun! my fingers are just itching to do this with my kiddos! (6,4,2) we have turned off tv and video games, no electronics ('xcept mom's computer time 🙂 mondays-thursdays and i think this would be a great way to spend our time! OOh, this book looks like so much fun! We still have a month before school starts, so I would use it to keep my kids & some of the neighborhood kids amused. Make the last bit of summer fun!! This looks so neat! My son would love to have some new fresh ideas to try out! 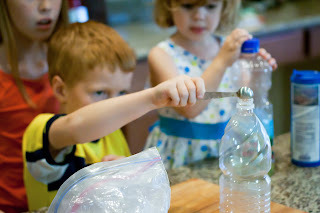 I start homeschooling my preschoolers tomorrow and I'm always on the lookout for fun things to do with them! We love this craft for kids. What a great idea. Will definitely be sharing it on our site!